I am always moved by the charm of New York City. 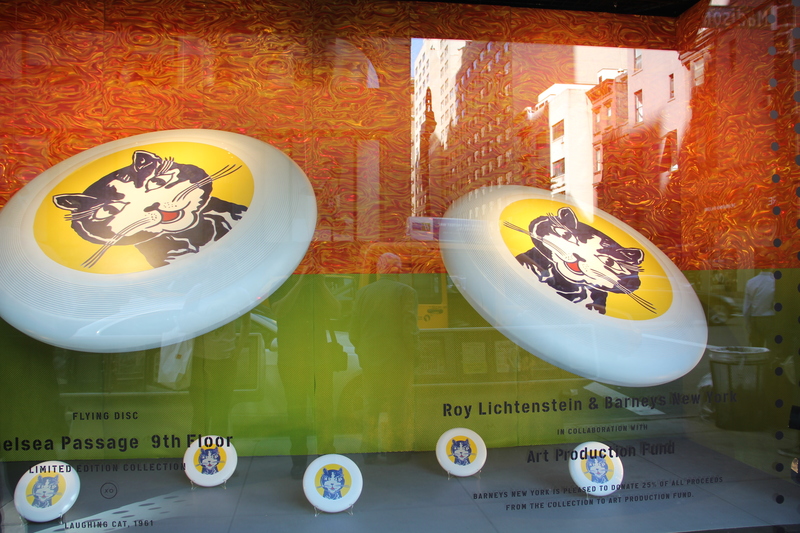 Recently when I visited the city, Roy Lichtenstein’s designs were decorating the windows in Barneys to celebrate a collaboration with the artist. Many of the artists most famous and beloved images such as the Laughing Cat, the Kiss and Ice Cream Soda are being used. 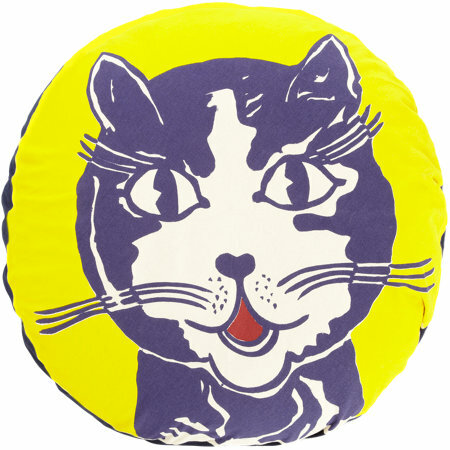 I am partial to the Laughing Cat pillow which would make a wonderful addition to my home office which is currently a work in progress.